A unique and contemporary hand lettered greeting card. Our brand new luxurious collection of hand lettered greetings cards are designed with a whole heap of love. 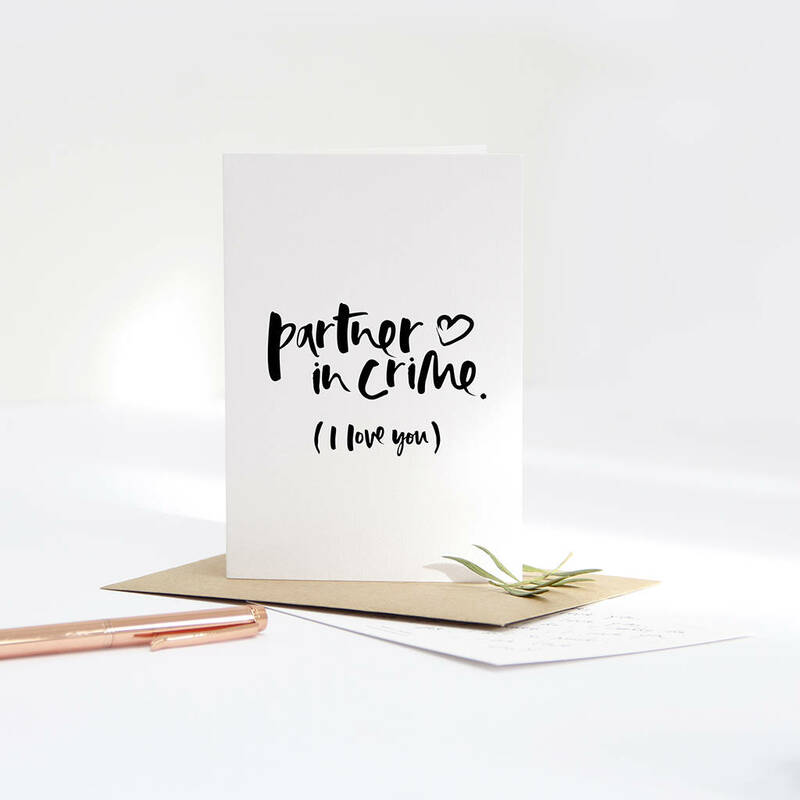 Featuring our classic, hand lettered typography, the phrase 'Partner in Crime' is written in deep black ink, printed onto luxurious, eco-friendly, textured card and teamed with a recycled kraft envelope. 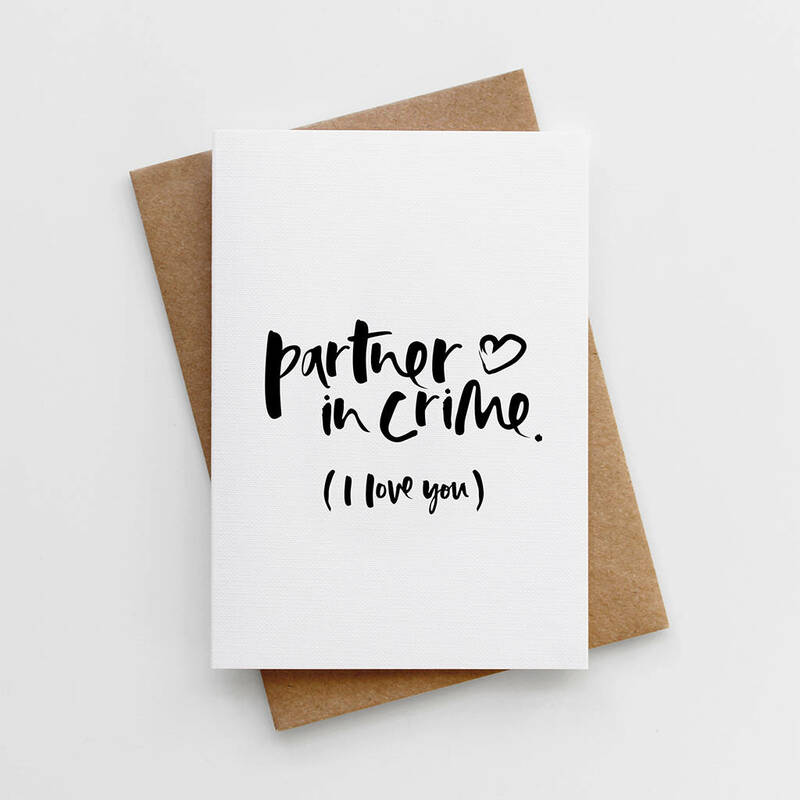 This simple, fun and contemporary card makes the perfect choice for a newly engaged couple, Valentine's Day, a special anniversary or given to your other half on the morning of your wedding. 'Patner in Crime' Valentine's Day Card is 10.5 x 14.8cm (A6) and comes with a 11.4 x 16.2cm (C6) envelope.